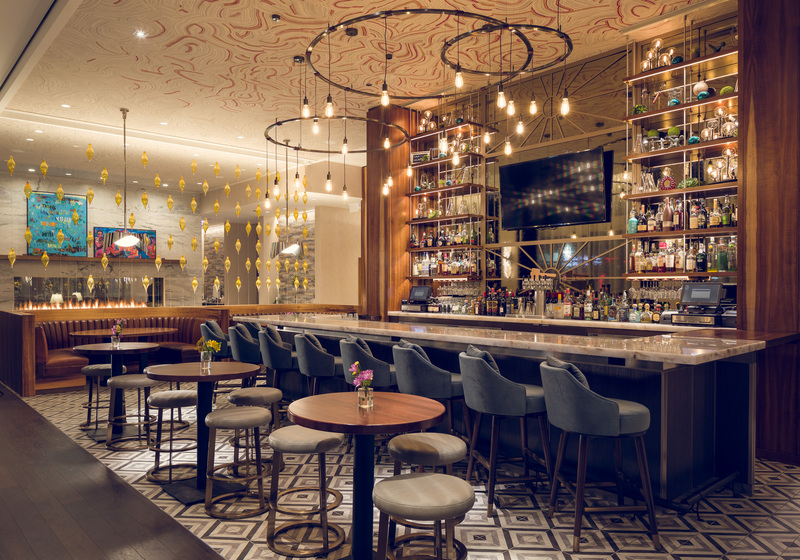 Mesler Kitchen at Sophy Hyde Park hotel prides itself on its inventive cocktail list. Consider, for example, a Sophy Spritz, made with Elderflower liqueur, sparkling wine, passion fruit, and fresh lime. Or an IROF (In Room Old Fashioned) created with Sophy house bourbon, rosemary infused maple syrup, aromatic and orange bitters. Red Matter combines citrus vodka with Cointreau, fresh lime, sugar and pomegranate, while Pulverization Determination is a mash-up of mint infused bourbon, sugar, lemon, and orange bitters. Even the non-alcoholic offerings have been carefully crafted, like Reading by the Fire, which combines apple shrub, ginger syrup, and Saigon lemon, or the Dorchester and 53rd, a mixture of blackberry , cranberry, lemon, house sugar, spices and soda.